NSDSP provides fast in-circuit programming and USB connectivity. - Some of the NSDSP models allow running the target PIC without imposing restriction on use of PGD/PGC pins as inputs or outputs. - Most of the NSDSP models can supply up to 200mA of USB power to the tareget circuit. 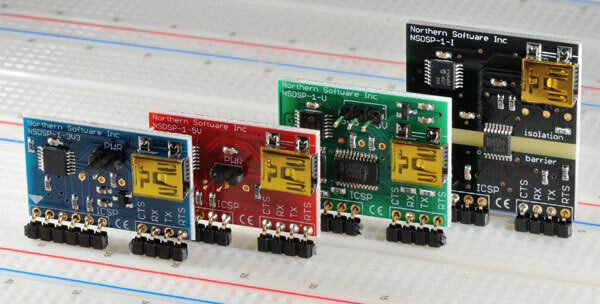 In addition, you can purchase pre-programmed NSDSP chips and mount NSDSP directly onto your production board. This is not only a cost effective alternative to USB bootloader, but also works as a USB-to-UART converter for your PIC application.